A while back our buddies at Secret Seven Records released the In A Cloud compilation showcasing lots of up and coming San Francisco artists [like Ty Segall, Thee Oh Sees, Fresh & Onlys, blah blah blah] and while we thought this was a one time thing – we just got word that they’re about to set out for seconds. 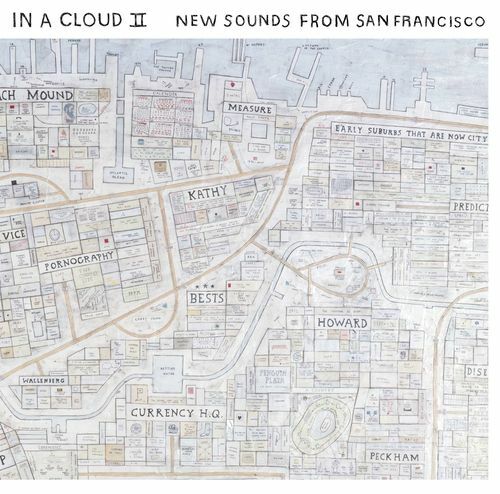 In A Cloud II is coming out on July 17th with the same ideas in mind as the original – displaying some of SF’s best and brightest. This time around and you can catch tracks from Ty Segall, Sonny Smith, Kelley Stoltz, Hannah Lew, and others. Sounds killer to us. Only 850 copies of the LP will be pressed – so we suggest getting on it now. Lots of places are posting a newly recorded version of the Ty Segall cut “SWAG” around the blag-a-blag and claiming that it is previously unreleased, but we would like to go ahead and state that “SWAG” has been released before [on the split 12″ with Black Time] Sorry to be nit-picky, but if you can afford to be correct – you might as well be. Anyway – peep it!